Judge denies Activision's request to keep Band Hero dispute away from a jury. The two-and-a-half year legal dispute between ska band No Doubt and Activision may finally be coming to a head, as a superior court judge declined Activion's request for a dismissal and gave No Doubt the green light to present their case to a jury. 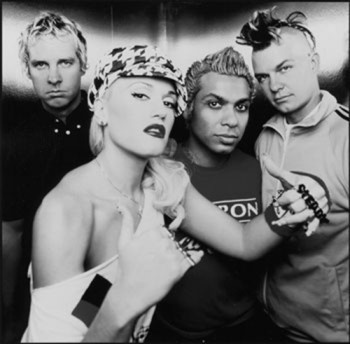 Originally, No Doubt appeared in the game Band Hero as playable characters, but sued Activision in 2009, claiming that they only gave Activision permission to use their likenesses in certain circumstances (specifically, their in-game avatars were to be used only to play No Doubt's songs, and no one else's). Activision then filed a lawsuit of their own, claiming the band had breached its contract by refusing to perform any publicity or marketing to promote Band Hero. While Activision's request may have been declined, its lawyers have already stated that they have a strong defense prepared, complete with video evidence allegedly contradicting No Doubt's claims they were uninformed of Band Hero's features.